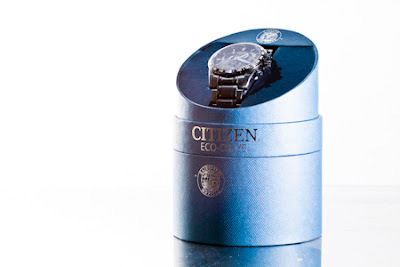 Product Photography - likely to remain a niche market of photography for as long as companies have products they want to make appealing in advertisement for sale - in my opinion of course. Why? Read to find out. Product photography will be around forever, or at least until people stop buying things. Companies will always feel the need to advertise what they sell. Good product photography can get pretty in depth, as you will see in this video, leading me to believe that its safe to say there will be photography jobs in product work for a long time. Take a look at the effort going into this shoot of the iPhone for a Macworld cover by Peter Belanger. I remember first seeing this at the Strobist blog, here. It was inspirational when I saw it, and spent much time searching for this video to share in this post. David Hobby's blog has been a crucial tool in my learning the application of this lighting style.. Similar to some other wild west shooters, I can remember using pop cans for practice on my coffee table in Lake Louise. Starting back when I got my first speedlight with the E-TTL cord, that would be in 2007. So you could say my lighting style has been in a constant evolution since then. I just shot these for the purpose of this post. Cylinders (as in popcans ) are good because you can really see how the light wraps around a subject. Following is visual and verbal information on recreating my popcan shots; a perfect in camera isolation on white, or a reflection onto black. White and black backgrounds, are at the two extremes of light, with a gray somewhere in the middle. Much like grilling beef - how would you like your background cooked? In order to control studio shoots you need to look at the subject and the background as two very seperate things like oil and vinegar. In order to control them each independently you need to minimize the amount of light they share by increasing the distance between them(fig1:#1). As in - dont back your product against a wall/corner. (although sometimes this works, but for seamless backgrounds - no). Next, the distance between camera to subject is the second priority (fig1:#2). Take your lens, start out anywhere from 50-200mm if you can, but longer the better. Here's why - the wider your shot the larger the background needs to be in order to fill the frame. And consequently, the more light you will need to keep it lit evenly, more batteries drained per shoot, shoots take less time, you get less photos, and you see where I'm going. Also, with wider angles comes greater distortion, and may limit the photos usefulness. With white backgrounds, you need to have the background lit brighter than the subject. You will know your background is too bright if you start creating halos, chromatic abberation and other anomalies around your subject's edges. Try increasing the distance to background or dialing the power down on your background light source. Or increasing the aperture and moving the key light in closer. There is always a solution to every problem, just think creatively but always logically to find it. Now here is a shot of my setup, with all settings the same on camera as the white background shot above, but a much slower shutter to allow ambient light to show through as well. Two Flashes lighting the background. One of which is gridded to prevent spill. And then a small softbox above lighting the front of popcan, dialed down quite low. I'd be shooting from where the black CD case is. I shot on a piece of plexiglass because i didn't want any shadows from my can to appear on any side of it. As you can see in the "straight out of the camera shot" above, it was successful in doing that. 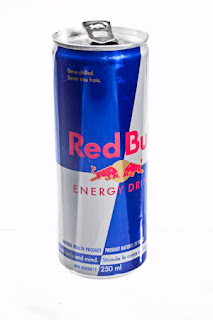 It is also responsible for the mirrored image in the first Red Bull can on black. Doing this with a point and shoot camera? Any place there is a flash, you can easily replace it with a gooseneck office light - but you cant mix continuous lighting and speedlights unfortunately. Keep your on camera flash turned off completely. And have your camera on a tripod is certainly most imperative for a sharp image. Set it to a whitebalance for incandescent or tungsten lighting otherwise you may get yellow/green colour casts. Now shoot away! Lighting meters can do silly things in these situations. Try using "snow" settings for white backgrounds, if you have no control over exposure . So, that is the small step into product photography. Grasping these principles on a small scale can be upsized to doing the same thing with people on a larger scale. Although I haven't put people on a massive transparent floor in a giant studio yet.. I will let you know when I do! 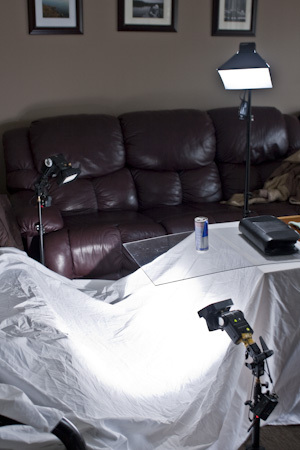 Generally the more square foot of area you have to light, the more exponentially expensive your studio will become. So start here with the small stuff! Next in product photography, I will have to demonstrate the principles behind creating natural reflections into the foreground like the shot on black above, marble, steel, water, etc.